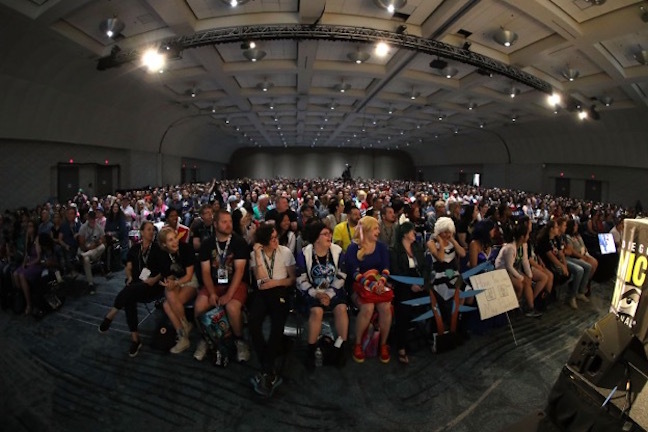 Fans packed yet another Comic-Con conference room to get a taste of Voltron Legendary Defender, whose seventh (!) season hits Netflix in just a few weeks on August 10th. 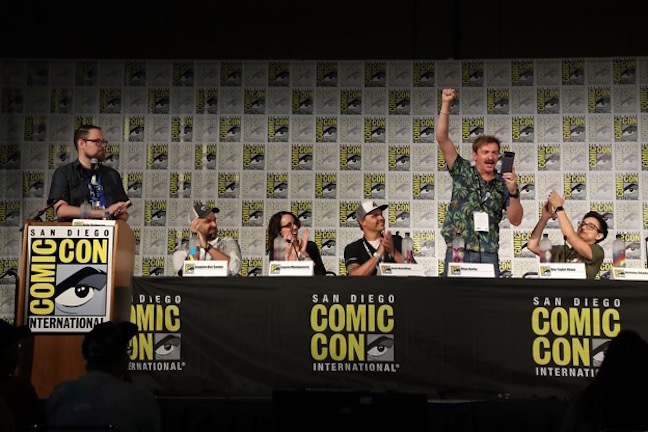 Dreamworks Animation Television gave those in attendance an inside look during a panel moderated by Nerdist associate editor Kyle Anderson, who was joined by voice actors Rhys Darby (Coran), Bex Taylor-Klaus (Pidge), Jeremy Shada (Lance), and others. 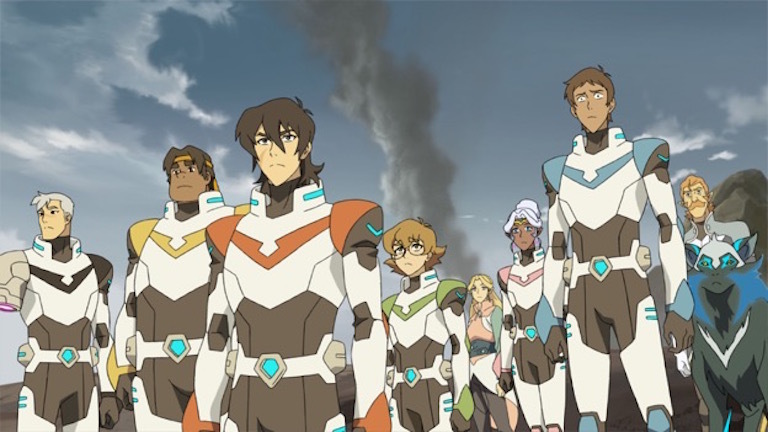 Season 7 Summary: Following Lotor’s defeat, the Paladins are finally able to set a course for Earth. After a long and perilous journey, they discover that their home planet is not how they left it. “A Little Adventure” follows Team Voltron as they encounter a small problem on the planet Faunus while trying to recharge their lions. 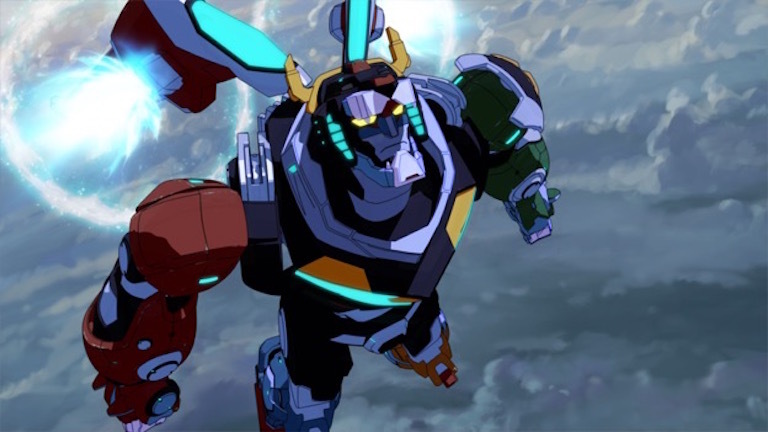 DreamWorks and Nerdist also announced the launch of an official Voltron commentary podcast called “Form Podcast!”, hosted by Nerdist associate editor Kyle Anderson and featuring showrunners, cast, and crew from the series. Each episode creates a “listen-while-you-watch” commentary track to play alongside each Netflix episode of Voltron Legendary Defender, providing all-new behind-the-scenes conversations about creating the series.